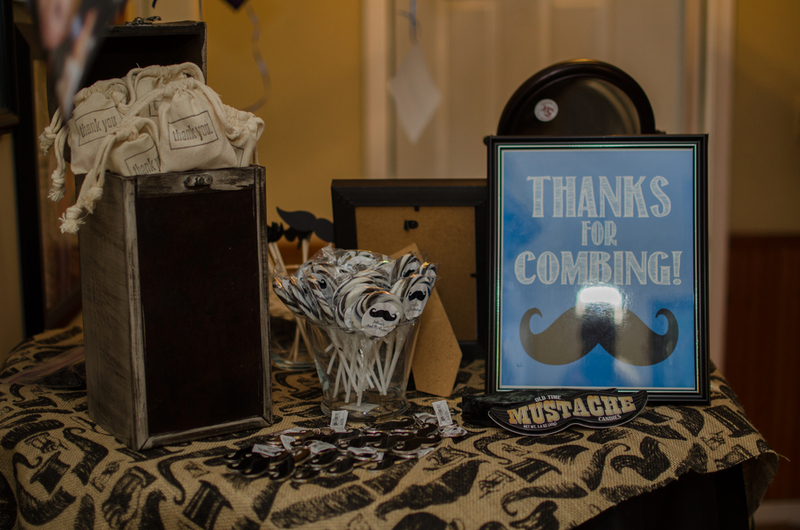 It's no secret that mustaches are all the rage this season- so much so, that even entire parties are being themed around them! 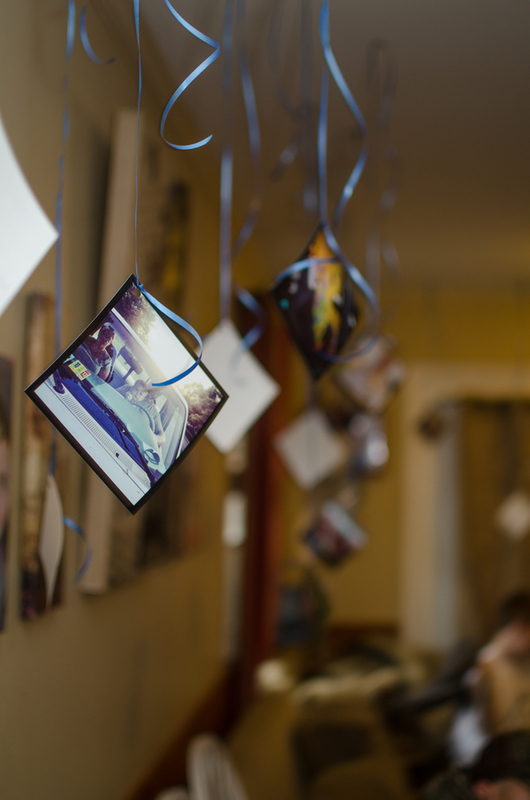 Whether you grow one, wear one or paint one on, they bring a fun atmosphere to party decor. Think we're kidding? 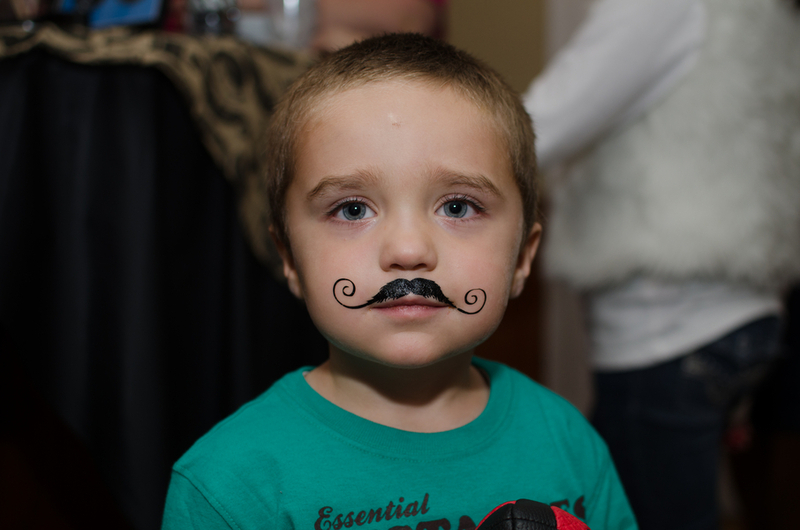 Check out this awesome 'stache themed bash celebrating guest-of-honor Julian's second birthday. 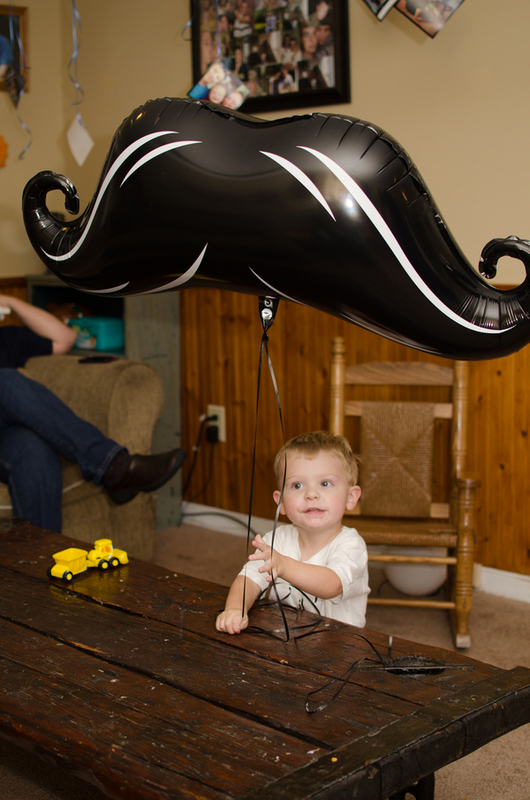 The party included mustaches in all shapes and sizes. They came in the form of candies, key chains, cupcake toppers and of course, temporary tattoos. 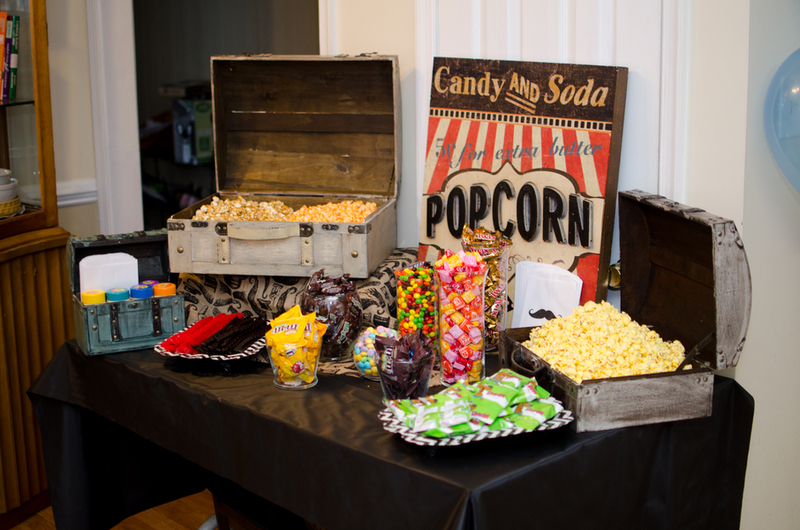 Accompanying details, like the old fashioned candy signs, gave the event a 1940s feel. Take a look at this fun theme in the photos that follow! Thanks to Hildebrandt Photography for sharing. 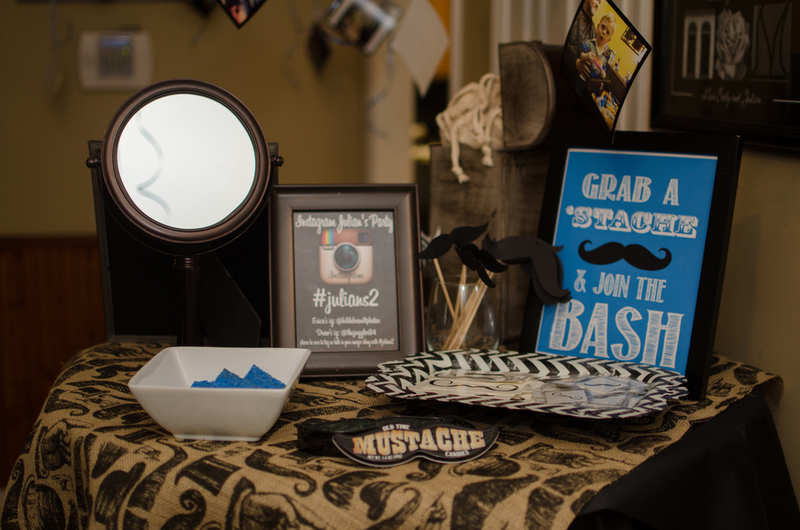 This table served as a temporary tattoo station: complete with sponges for application, and a mirror to check out the new 'stache! 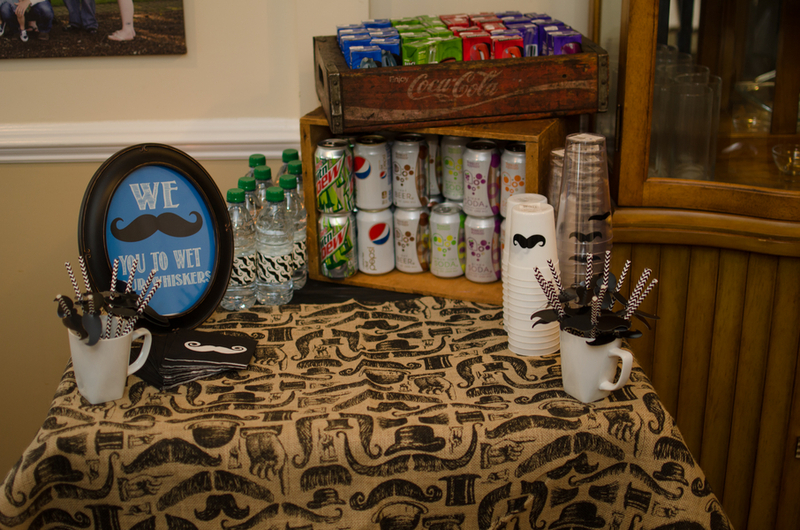 If you recreate this party theme, you can even book a face painter to give guests their own customized whiskers. Who knew mustaches could be so stylish? Thanks for "combing" to check out this cool party theme.